Drivers can expect fog and icy roads until Tuesday afternoon in Anchorage and surrounding areas, according to the National Weather Service. A dense fog advisory, canceled for the Mat-Su region Tuesday morning but extended until 4 p.m. in communities from Eklutna to Girdwood, warns of visibility down to a quarter-mile. The advisory also asks drivers to slow down, turn on headlights and leave stopping distance between vehicles. 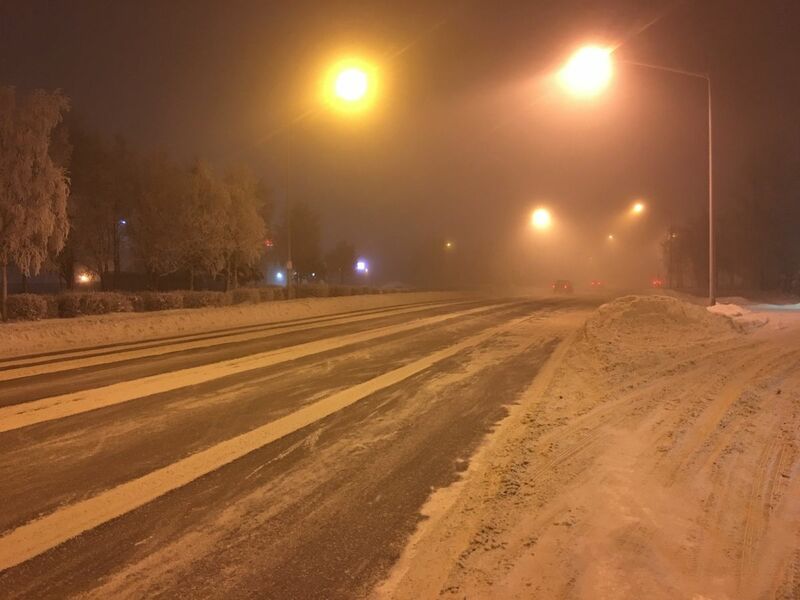 Anchorage-based meteorologist Rebecca Duell said temperatures below 32 degrees, including Anchorage's single-digit cold Tuesday morning, turn fog into "freezing fog" that can bring ice to an area without rain or snowfall. "Freezing fog is kind of a tricky one because it gets deposited on surfaces," Duell said. "The road gets affected, sidewalks get affected." Duell said the fog is likely to be concentrated in lower elevations such as West Anchorage. "There are parts of Anchorage that aren't seeing very much fog, and there are parts that are really down to a quarter-mile visibility," Duell said. Although the original advisory had been set to expire at noon Monday before being extended into Tuesday, Duell said only patchy fog should remain in the area beyond the advisory's hours. "We're fairly confident that it will dissipate by this afternoon," Duell said. "It should be mainly the morning commute and not the afternoon commute that will be affected." Anchorage police dispatchers reported four vehicles in distress and six non-injury accidents between midnight and 10 a.m. Tuesday.